Over the weekend, the temperatures approached (and even reached) 70 and it finally felt like spring might be here for awhile. I love the warmer temps and I’m so ready to say goodbye to winter. 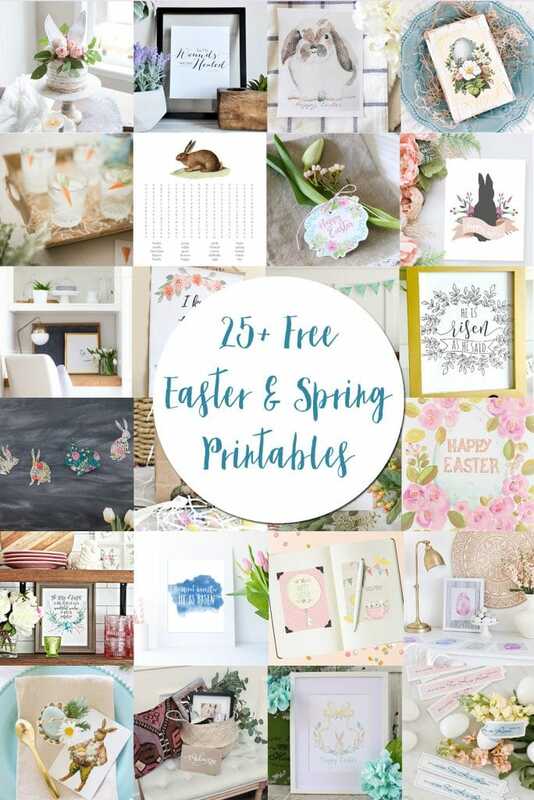 Today I’ve teamed up with 28 talented friends to bring you 29 free spring and Easter printables. Easter is my second favorite holiday (behind Christmas). Not only do I love the significance of Easter morning, but I also love that summer is that bit closer. In the springtime, I love color and flowers, so today I’m sharing my Easter printable. 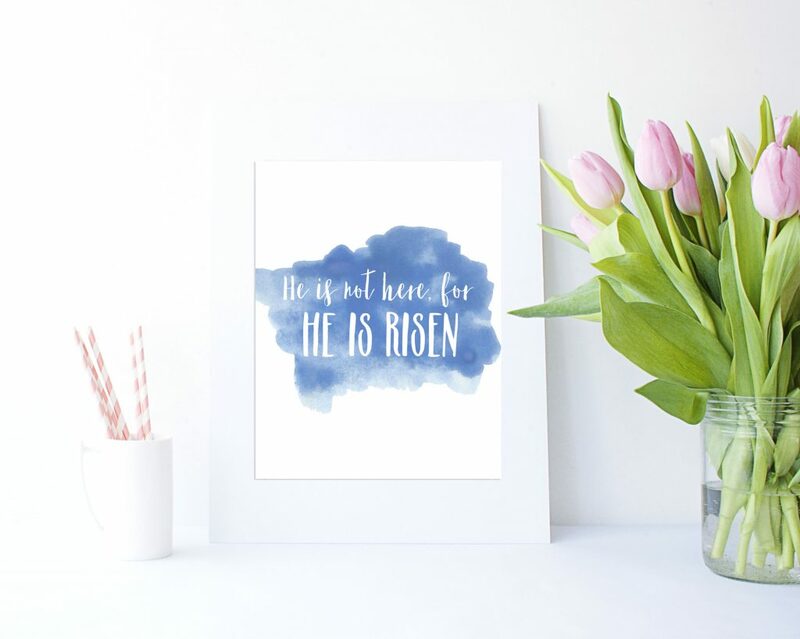 I created this He Is Risen Watercolor printable that feels so fresh and perfect for the season! You can download the printable here (it is sized for 8.5 x 11 paper and should work in an 8×10 frame). Be sure to check out all of these other gorgeous spring and Easter printables below. Such an easy way to add some free decor in your home! Sarah thank you so much for the printable! I love the one you made its so pretty. Thanks for sharing! I love using printables for seasonal home decor. They add such a cute, personalized touch with a low price tag. On top of all of that there are so many places you can put them. Personally, I usually put seasonal printables on my entryway table or my fireplace mantel.